Get Started with Web Scraping using Python! For those who are not familiar with programming or the deeper workings of the web, web scraping often looks like a black art: the ability to write a program that sets off on its own to explore the Internet and collect data is seen as a magical and exciting ability to possess. 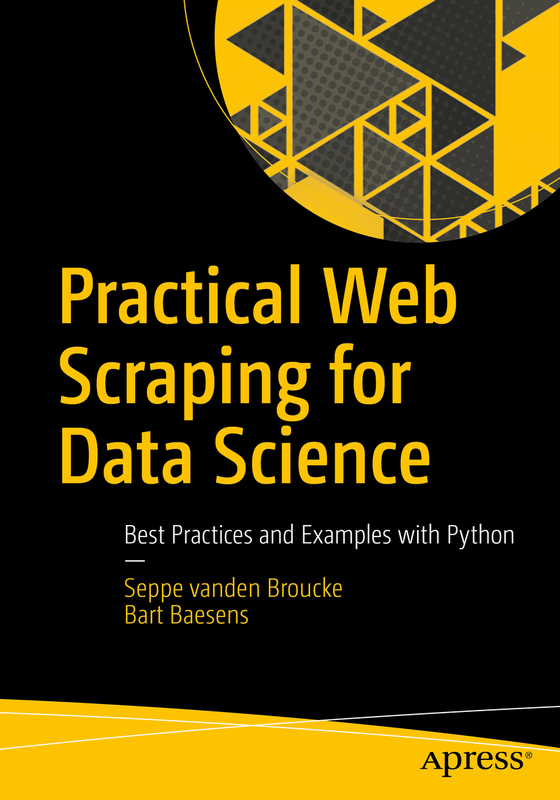 In this book, we set out to provide a concise and modern guide to web scraping, using Python as our programming language, without glossing over important details or best practices. In addition, this book is written with a data science audience in mind. We're data scientists ourselves, and have very often found web scraping to be a powerful tool to have in your arsenal, as many data science projects start with the first step of obtaining an appropriate data set, so why not utilize the treasure trove of information the web provides. In Chapter 1, we provide a brief overview on web scraping and real-life use cases and make sure your Python environment is set up correctly. In Chapter 2, you’ll learn the basics regarding HTTP, the core piece of technology behind the web, and start working with the requests Python library. In Chapter 3, we explore scraping HTML and CSS sites, using the Beautiful Soup library. Chapter 4 returns to HTTP, exploring it more detail. Chapter 6 explains web crawling in detail. In Chapter 7, an in-depth discussion regarding managerial and legal concerns is provided. Chapter 8 recaps best practices and provides pointers to other tools. Chapter 9 includes fifteen, fully worked out web scraping examples bringing everything you’ve learned together, and illustrates various interesting data science oriented use cases. We have written this book with a data science oriented audience in mind. As such, you'll probably already be familiar with Python or some other programming language or analytical toolkit (be it R, SAS, SPSS, or something else). If you're using Python already: you'll feel right at home. If not, we include a quick Python primer later on in this chapter to catch up with the basics and provide pointers to other references as well. Even if you're not using Python yet for your daily data science tasks (many will argue that you should), we want to show you that Python is a particularly powerful language to use for getting out data from the web. We also assume that you have some basic knowledge regarding how to web works. 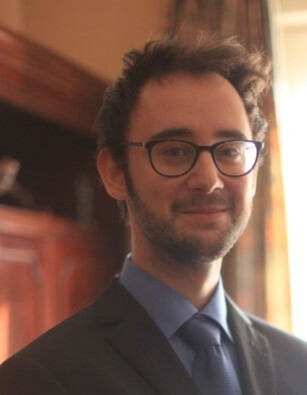 Seppe vanden Broucke is an assistant professor of data and process science at the Faculty of Economics and Business, KU Leuven, Belgium. His research interests include business data mining and analytics, machine learning, process management, and process mining. His work has been published in well-known international journals and presented at top conferences. Seppe's teaching includes Advanced Analytics, Big Data and Information Management courses. He also frequently teaches for industry and business audiences. Besides work, Seppe enjoys travelling, reading (Murakami to Bukowski to Asimov), listening to music (Booka Shade to Miles Davis to Claude Debussy), watching movies and series (less so these days due to a lack of time), gaming, and keeping up with the news. 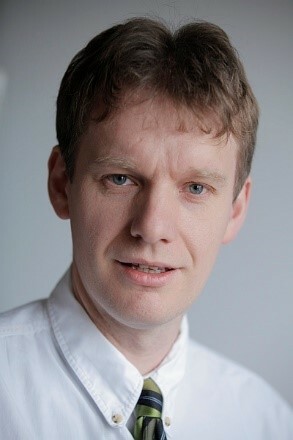 Bart Baesens is a professor of big data and analytics at KU Leuven, Belgium, and a lecturer at the University of Southampton, United Kingdom. He has done extensive research on big data and analytics, credit risk modeling, fraud detection and marketing analytics. Bart has written more than 200 scientific papers and several books. Besides enjoying time with his family, he is also a diehard Club Brugge soccer fan. Bart is a foodie and amateur cook. He loves drinking a good glass of wine (his favorites are white Viognier or red Cabernet Sauvignon) either in his wine cellar or when overlooking the authentic red English phone booth in his garden. Bart loves traveling and is fascinated by World War I and reads many books on the topic. We hope you enjoy reading through this book as much as we had writing it. Feel free to contact us in case you have questions, find mistakes, or just want to get in touch! We love hearing from our readers and are open to receive any thoughts and questions.